One Flew Over the Cuckoo’s Nest has a lot of promise, but it doesn’t quite come together. On the whole, it’s great. Funny and poignant, with a superb performance from Jack Nicholson and the ensemble cast that make up the rest of the psychiatric patients. But, the end felt severely lacking in emotional nuance. The sudden change of tone from comedy to tragedy jars horribly, particularly when the tragedy is dealt as subtly as the blow of a sledgehammer. It’s a real shame, but it truly lets down everything that comes before it. I found One Flew Over the Cuckoo’s Nest quite difficult to comprehend; the comedic moments often felt quite awkward given the setting and the more serious moments didn’t particularly impress me. It very much reminded me of the episodes of House when he ends up in an institution, yet with House it felt much more considered and thought provoking. There were funny moments and Jack Nicholson was pretty good, but nothing about the film stands out. Ben-Hur was the first film to win 11 Academy Awards, a feat now matched by Titanic and The Lord of the Rings: The Return of the King. Ben-Hur is certainly the epic it purports to be, though it certainly feels like style has been prioritised over substance in this instance. There are a few standout moments. The famous chariot race, for example, is exciting and a clear visual delight. The film also reaches some emotional heights, particularly in the poignant moment when Ben-Hur offers Jesus a cup of water as he carries his cross through the streets of Jerusalem. However, characters are left woefully underdeveloped, and everything moves at far to brisk a pace to allow for any real tension or interest to be created. Ben-Hur‘s basic premise isn’t a bad one, but its screenplay and execution let it down. 3. Characters repeatedly speaking like complete imbeciles, akin to an acting class at RADA. Ben-Hur is a victory of style over substance. Lots of attention has been paid to making it look and feel big and impressive; it is epic for epic-nesses sake, yet they forgot to write a good film along the way. It gets a point for the chariot race (which was impressive) and for having a map in the opening credits. The rest of this film should be erased from human history. The Return of the King broke the record for most oscars won, when winning all nominated categories. It won 11, the previous record of 9 was set by Gigi (1958) and equalled by The Last Emperor (1987). The Lord of the Rings trilogy is undeniably a masterpiece, and The Return of the King is a fitting finale. It’s exciting, absolutely lavish in scale and poignant. Throughout the large ensemble cast add believable performances to the deluge of special effects that help make the film visually stunning. It’s over-long ending is its singularly flaw; undoubtedly, the film should end half an hour sooner. But this isn’t enough to majorly sour a brilliant film, just prevent it from reaching the very heights of greatness that the Fellowship of the Ring and The Two Towers achieved before it. I’m no Lord of the Rings obsessive; I’ve never read the books and although I’ve seen the films once before, I didn’t remember any of it (Will gave me a 2 minute intro to explain where the story was up to). That being said, I thought The Return of the King was excellent. Great battle scenes, a very strong cast and beautifully shot. The last twenty minutes felt entirely unnecessary, but the rest of the film zipped by. The film originally featured an inserted Technicolor sequence which is now preserved only in black and white except for a short fragment from the beginning of the sequence. The Broadway Melody is quite possibly the worst musical film I’ve ever seen. It’s more or less entirely lacking in plot and, even more strangely, doesn’t really have many songs in it. The only explanation I can come up with for its victory is that the audiences of 1929 were so taken with the fact that they could actually here the songs that they didn’t notice how appallingly poor the film was. Avoid at all costs if you don’t want nearly two hours of your life to be completely wasted. Yes this is one of the earliest winners so 2/10 may seem harsh, but this is an uninteresting film that completely failed to grab my attention. Even the female Vaudeville Act at the heart of the film seemed very amateurish and budget. A film best avoided. With just four letters, Gigi set the record for Best Picture with the shortest title, not equalled until Argo in 2012. Gigi is an awful film, with desperate over-acting, songs that seem to be unaware of how desperately dodgy they sound (‘Thank Heaven for Little Girls’ is a prime example) and a story line that is entirely obvious and clichéd. I’m a self-confessed musical fan, but even I see little to appreciate in this offering. Gigi is the most difficult film I’ve had to review so far. I have completely contrasting emotions about it; on one level it is absolutely terrible; horrible acting, dreadful accents, a plot that makes me want to gauge my eyes out and borderline xenophobia/francophobia and paedophilia running as undercurrents through the film. On the other hand there is a film so camp and over the top it makes Baz Luhrmann seem like Rocky – always a winner. I genuinely laughed a lot at this film and enjoyed a lot of the songs; whether I was laughing because it was what the director intended or it was with a deep-rooted sense of irony I can’t quite decide. One thing I would say: if they’d cast someone less annoying and more believable as Gigi, this would have been a much better film. Unforgiven was only the third western to win best picture. I really don’t like westerns, and Unforgiven was certainly no exception. I found it interminably dull from beginning to end, and just didn’t care what happened, as long as it was over and done with soon. A slow film that too often plodded along. Clint Eastwood manages to put in a very wooden leading performance, and the beginning and ending text is particular odd and sets a somewhat strange tone. There were some strong moments, not least Gene Hackman’s and Richard Harris’s performances, but Unforgiven is just too predictable to really entertain. May: The first race in the inaugural FIA Formula One World Championship is held at Silverstone. June: North Korean troops cross the 38th parallel into South Korea, beginning the Korean War. October: The comic strip Peanuts by Charles M. Schulz is first published in seven U.S. newspapers. All About Eve holds the record for the greatest number of female acting nominations at the Academy Awards, with four. Watching All About Eve is a delight. The undercurrents of resentment and hostility that run throughout make it a joy to observe. Bette Davis is fantastic, saying all she needs to merely with a withering look. The dynamic between the cast is electric, every performance contributing something vital to the whole. 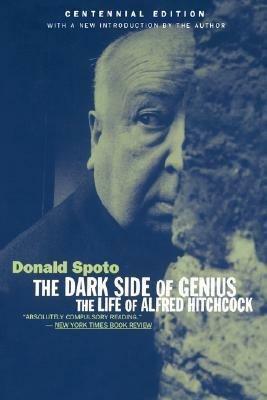 Through this, they tell a brilliant and funny story of ruthless ambition, that is as pertinent today as it was in 1950. All About Eve was the film that first inspired our Best Pictures challenge. A friend invited us over to see it at Christmas. He had said it was perhaps the bitchiest film ever made; he lauded Bette Davis’s performance as an acting masterclass; he was absolutely right on both accounts. A stunning film about manipulation, jealously and inevitability; All About Eve easily matches anything we’ve seen in the past eight months. Simply brilliant. Subscribe by e-mail to get my latest blog posts delivered straight to your inbox.